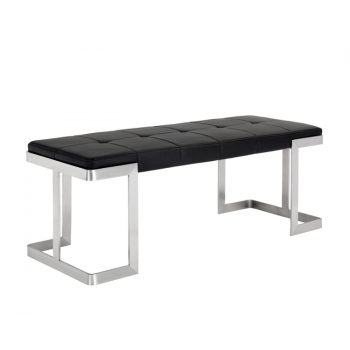 This sleek and modern bench from our Ikon collection features a sturdy brushed stainless steel frame. Stocked in black and white faux leather with tufting. Suitable for contract and residential placements.